As far back as Mazumdar can remember, light has played an indelible role in his practice. But he saw just how precious and volatile it was back in 2009. “Many of the works I create are generated in a village in Jharkhand. When the village got its first electric connection, the ethos of its life changed. 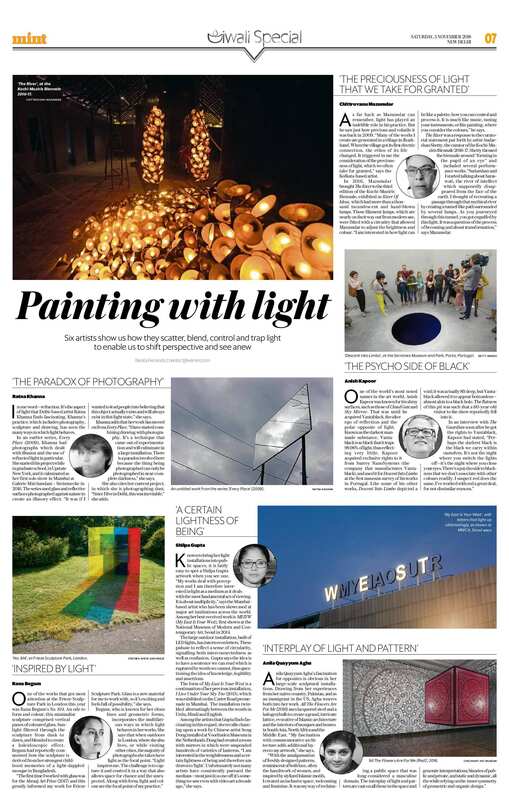 It triggered in me the consideration of the preciousness of light, which we often take for granted," says the Kolkata-based artist. In 2016, Mazumdar brought The River to the third edition of the Kochi-Muziris Biennale, exhibited as River Of Ideas, which had more than a thousand incandescent and hand-blown lamps. These filament lamps, which are nearly on their way out from modern use, were fitted with a circuitry that allowed Mazumdar to adjust the brightness and colour. “I am interested in how light can be like a palette, how you can control and process it. It is much like music, tuning your instruments, or like painting , where you consider the colours," he says. The River was a response to the curatorial statement put forth by artist Sudarshan Shetty, the curator of the Kochi-Muziris Biennale 2016-17. Shetty themed the biennale around “forming in the pupil of an eye" and included several performance works. “Sudarshan and I started talking about Saraswati, the river of intellect which supposedly disappeared from the face of the earth. I thought of recreating a passage through that mythical river by creating a tunnel-like path surrounded by several lamps. As you journeyed through this tunnel, you got engulfed by this light. It was a question of the process of becoming and about transformation," says Mazumdar. In one word—refraction. It’s the aspect of light that Delhi-based artist Ratna Khanna finds fascinating. Khanna’s practice, which includes photography, sculpture and drawing, has seen the many ways in which light behaves. 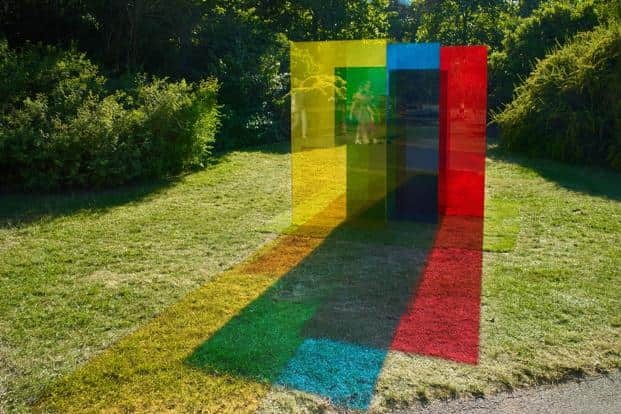 In an earlier series, Every Place (2009), Khanna had photographs which dealt with illusion and the use of refracted light in particular. She started this project while in graduate school, in Upstate New York, and it culminated as her first solo show in Mumbai at Galerie Mirchandani + Steinruecke in 2016. 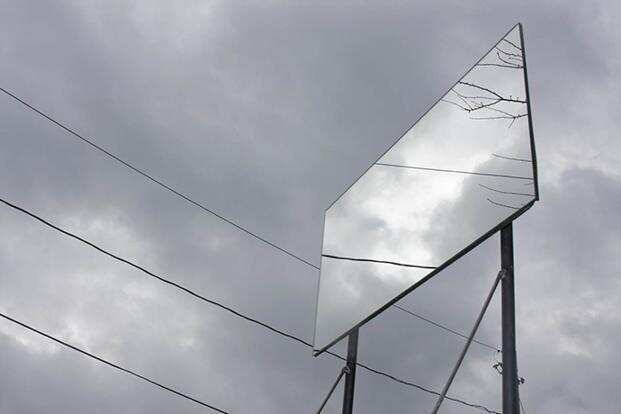 The series used glass and reflective surfaces photographed against nature to create an illusory effect. “It was if I wanted to lead people into believing that this object actually exists and will always exist in this light state," she says. Khanna adds that her work has moved on from Every Place. “I have started combining drawing with photography. It’s a technique that came out of experimentation and will culminate in a large installation. There is a paradox involved here because the thing being photographed can only be photographed in near-complete darkness," she says. She also cites her current project, in which she is photographing dust. “Since I live in Delhi, this was inevitable," she adds. One of the world’s most noted names in the art world, Anish Kapoor was known for his shiny surfaces, such as those of Cloud Gate and Sky Mirror. That was until he acquired Vantablack, the alter ego of reflection and the polar opposite of light. Known as the darkest man-made substance, Vantablack is so black that it traps 99.96% of light, thus reflecting very little. Kapoor acquired exclusive rights to it from Surrey NanoSystems (the company that manufactures Vantablack), and used it for Descent Into Limbo at the first museum survey of his works in Portugal. 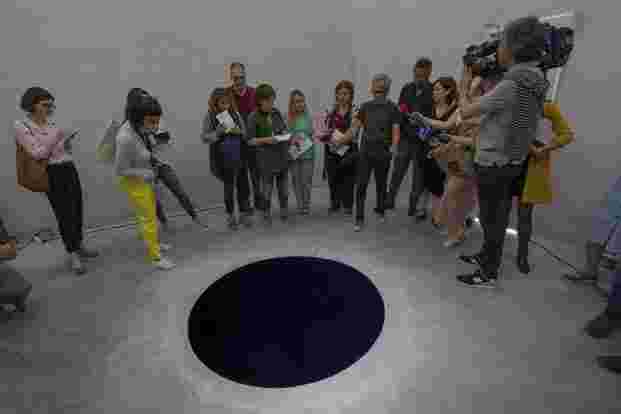 Like some of his other works, Descent Into Limbo depicted a void; it was actually 8ft deep, but Vantablack allowed it to appear bottomless—almost akin to a black hole. The flatness of this pit was such that a 60-year-old visitor to the show reportedly fell into it. In an interview with The Guardian soon after he got the rights to Vantablack, Kapoor had stated, “Perhaps the darkest black is the black we carry within ourselves. It’s not the night where you switch the lights off—it’s the night where you close your eyes. There’s a psycho side to blackness that we don’t associate with other colours readily. I suspect red does the same. I’ve worked with red a great deal, for not dissimilar reasons." Known to bring her light installations into public spaces, it is fairly easy to spot a Shilpa Gupta artwork when you see one. “My works deal with perception and I am therefore interested in light as a medium as it deals with the most fundamental act of viewing. It is about multiplicity," says the Mumbai-based artist who has been showcased at major art institutions across the world. Among her best-received work is MEIYW (My East Is Your West), first shown at the National Museum of Modern and Contemporary Art, Seoul in 2014. 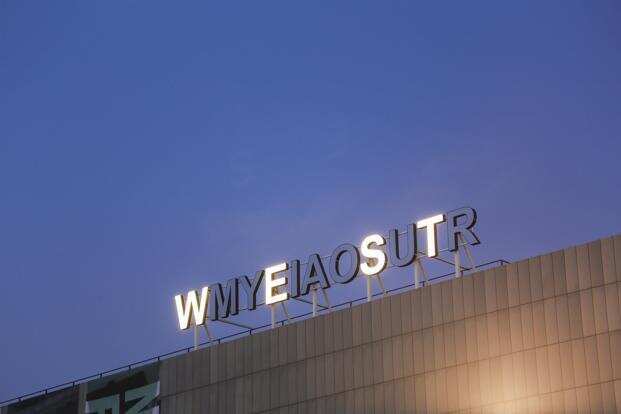 The large outdoor installation, built of LED lights, has interwoven letters. These pulsate to reflect a sense of circularity, signalling both interconnectedness as well as confusion. Gupta says the idea is to have a sentence we can read which is ruptured by words we cannot, thus questioning the idea of knowledge, legibility and assertions. The form of My East Is Your West is a continuation of her previous installation, I Live Under Your Sky Too (2013), which was exhibited on the Carter Road promenade in Mumbai. The installation twinkled alternatingly between the words in Urdu, Hindi and English. Among the artists that Gupta finds fascinating in this regard, she recalls chancing upon a work by Chinese artist Song Dong installed at Voorlinden Museum in the Netherlands. Dong had created a room with mirrors in which were suspended hundreds of varieties of lanterns. “I am interested in the weightlessness and a certain lightness of being and therefore am drawn to ‘light’. Unfortunately not many artists have consistently pursued the medium—most just do a one off; it’s something we saw even with video art a decade ago," she says. One of the works that got most attention at the Frieze Sculpture Park in London this year was Rana Begum’s No. 814. An ode to form and colour, this minimalist sculpture comprised vertical panes of coloured glass. Sunlight filtered through the sculpture from dusk to dawn, and blended to create a kaleidoscopic effect. Begum had reportedly commented how the sculpture is derived from her strongest childhood memories of a light-dappled mosque in Bangladesh. “The first time I worked with glass was for the Abraaj Art Prize (2017) and this greatly informed my work for Frieze Sculpture Park. Glass is a new material for me to work with, so it’s exciting and feels full of possibility," she says. Begum, who is known for her clean lines and geometric forms, incorporates the multifarious ways in which light behaves in her works. She says that when outdoors in London, where she also lives, or while visiting other cities, the majority of photographs she takes have light as the focal point. “Light inspires me. The challenge is to capture it and control it in a way that also allows space for chance and the unexpected. Along with form, light and colour are the focal point of my practice." Anila Quayyum Agha’s fascination for opposites is obvious in her large-scale sculptural installations. Drawing from her experiences from her native country, Pakistan, and as an immigrant in the US, Agha weaves both into her work. 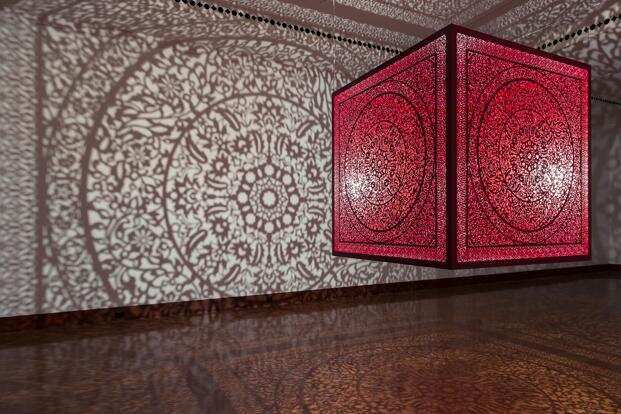 All The Flowers Are For Me (2016) uses lacquered steel and a halogen bulb to create a grand, intricate lattice, evocative of Islamic architecture and the interiors of mosques and homes in South Asia, North Africa and the Middle East. “My fascination with commemorative architecture adds additional layers to my artwork," she says. “With the amalgamation of freshly designed patterns, reminiscent of both lace, often the handiwork of women, and inspired by stylized Islamic motifs, I created an inclusive space, welcoming and feminine. It was my way of reclaiming a public space that was long-considered a masculine domain. The interplay of light and pattern are cast on all those in the space and generate interpretations; binaries of public and private, and static and dynamic, all the while relying on the inner symmetry of geometric and organic design."